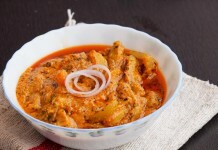 Shahi Mutton Korma is a very famous non-vegetarian dish of India and usually prepared on special occasions. 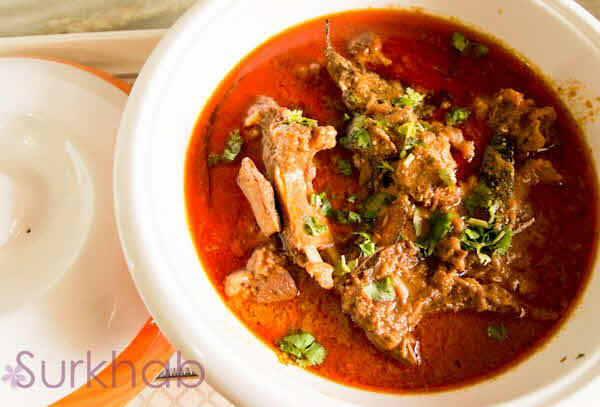 The flavour of Shahi Mutton Korma is based on a mixture of spices, included red chilli powder, coriander powder and dry fruits. 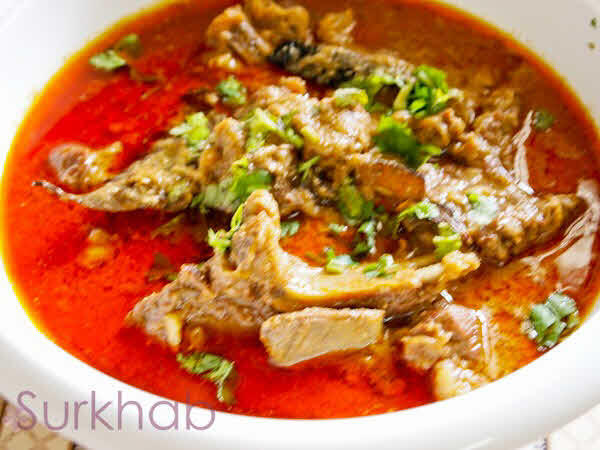 Mutton korma is usually served with naan or chapatti. 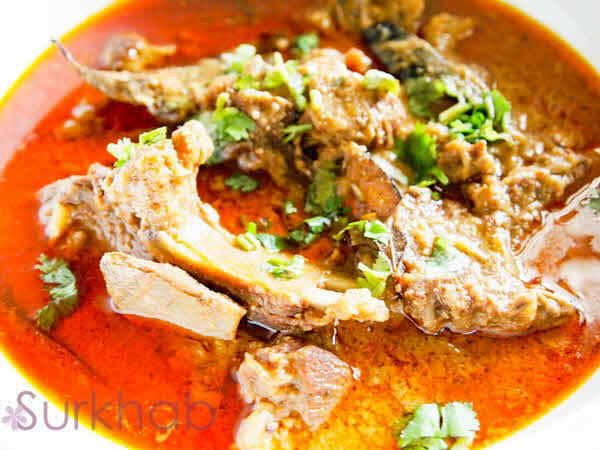 Learn how to make Mutton Korma. 1. Wash the mutton and keep it aside. 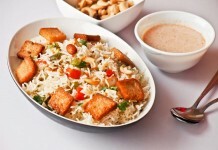 Take grated coconut, khus-khus, cashew nuts and almonds in a plate. 2. Now heat the oil in a cooker, saute with onion, bay leaf and cinnamon stick. Fry till onions are golden brown..
3. Now add washed mutton in the cooker and fry it on the medium flame for about 5 minutes. Then add ginger-garlic paste and cook for another 10 minutes. 4. Take the cumin seeds, cardamom brown, cardamom green, cloves, pepper, nutmeg, mace, Cashew nuts, almonds, coconut grated and khus-khus in a grinder and grind it to make a smooth paste. Add this paste into the cooker and also add red chilli powder, salt and coriander powder. Cook the spices on low flame till oil shows separately. Then add 1 cup of the water. Close the cooker and cook on slow flame for 10 minutes. Remove the cooker from heat and allow to cool naturally. Garnish with coriander leaves Serve hot with Naan or Chapattis.